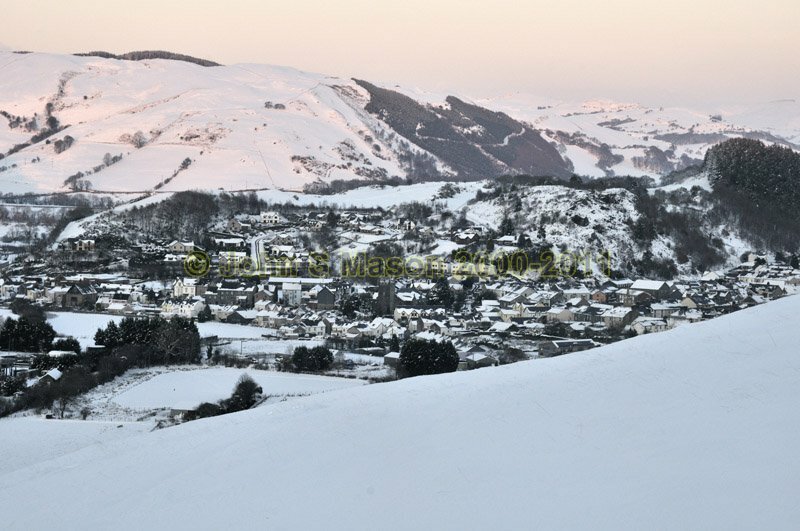 A snowbound Machynlleth after sunset, December 2010. The last rays are still lighting up the hills. Taken from Y Wylfa. Product number 121063. Email me to enquire about this image: click HERE.